To book a repair you can call our friendly team of advisers on 1890 818 575. You’ll pay one fixed price charge which includes the call out to your home, labour and parts. We offer a "no fix, no fee" repair which means that if we find that your fridge freezer is beyond economical repair*, we’ll give you a full refund. 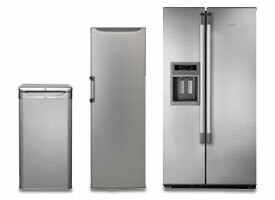 All fridge freezer repairs are done in the comfort of your own home on a day to suit you. We have a team of repair experts nationwide, who are available 6 days a week, across most of Ireland. On the day they’ll give you a ring to let you know they are on their way.